The Best Pediatric Dentist blogs from thousands of top Pediatric blogs in our index using search and social metrics. Data will be refreshed once a week. 2.85 Clarksville Pediatric Dentistry P.C. Pediatric Dentist newsletter is a comprehensive summary of the day's most important blog posts and news articles from the best Pediatric Dentist websites on the web, and delivered to your email inbox each morning. To subscribe, simply provide us with your email address. Long Island About Blog Dr. Marc Adelberg has been delivering outstanding pediatric dentistry since 1998. He received his undergraduate education from the University of Albany, majoring in psychology, and his dental education from the University of Buffalo. He completed a two-year residency in pediatric dentistry at Montefiore Medical Center, the hospital for the Albert Einstein College of Medicine, graduating in 1998. Facebook fans 2,091. Twitter followers 494. Southbury, Connecticut About Blog Dr. Stephen is a pediatric dentist with a fun, friendly approach and a gentle touch. His personal goal is to provide your child with exceptional dental care and an educational experience in a fun, comfortable environment. Facebook fans 2,428. Twitter followers n/a. Columbia MD About Blog Michael Kim is a pediatric dentist specializing in dental procedures. Our entire team is dedicated to helping you and your child feel at home from the moment you walk through the door. We’re proud to be members of the Columbia community and serve the dental needs of their children. Facebook fans 159. Twitter followers n/a. About Blog Dr. Karina Marr believes healthy smiles leads to happy kids. Along with our team, Dr. Marr provides the latest in caring pediatric dentistry to kids of all ages in Casa Linda. Clinton Township, MI About Blog This blog gives up to date information and news from Pediatric Dentistry and Orthodontic Specialists of Michigan. They are a unique dental specialty office offering both pediatric dental care and orthodontic treatment for children and adults in the same office. Facebook fans 3,295. Twitter followers 21. About Blog Jack J. Reynolds, D.D.S., treats children of all ages, from toddlers to teens, and every age in between. With proper care beginning at a young age, your child can enjoy a picture-perfect smile. We are dedicated to providing our patients with optimum dental health in a cozy office atmosphere with a fun play area. Alameda and Pleasanton, CA About Blog Alameda Pediatric Dentistry & Pleasanton Pediatric Dentistry specialize in treating young children & adolescents. Our mission is to make kids smile by promoting oral health for children beginning at age one, by providing unparalleled service and by creating memorable office visits for our patients and their families. Facebook fans 551. Twitter followers 94. About Blog At Sweet Tooth Pediatric Dentistry, Dr. Erica Pitera and her team serve the oral health needs of families of infants, toddlers, adolescents, teens and those with special healthcare needs of all ages. Our mission is to provide the best comprehensive dental care for your child in a friendly, safe and state-of the-art environment. Facebook fans 566. Twitter followers n/a. About Blog At Pediatric Dentistry South, caring for children is our passion! Our experienced pediatric dentists offer complete dental care for children and young adults, providing a wide range of services and helping children learn good oral habits early on. We want to make sure that your child can enjoy a healthy, beautiful smile for a lifetime. Facebook fans 203. Twitter followers n/a. Utah, US About Blog Follow this blog for oral health tips for your kids, DIY projects, reviews & more. Burg Children's Dentistry is the leading pediatric dentistry & orthodontics practice in Utah. Facebook fans 16,060. Twitter followers n/a. About Blog At Smile More Kidz, we offer families the best of both options. We have a skilled pediatric dentist and a kid-friendly office that’s perfect for your children’s smiles, and when it's time to care for their adult smiles, our same team will be there with them throughout the transition. Highland Village, TX About Blog Comprehensive dental care for children and young adults in a "child-friendly" environment. Our philosophy is to provide the same quality of care for each patient as we would to our own children. Facebook fans 1,546. Twitter followers 173. Baltimore, Maryland About Blog At Chesapeake Pediatric Dental, we specialize in making children feel comfortable while we treat them and teach them about great oral health habits! Read Chesapeake Pediatric Dental Group Blog to get news and tips from our practice! Facebook fans 989. Twitter followers 96. Madison, NJ About Blog Starship Pediatric Dentistry provide specialized dentistry for children and adolescents in an intergalactic “child-friendly” environment. As pediatric dentists, we focus on preventive care, honesty, empathy and practical thinking to help each child grow a healthy smile while having an “out of this world” experience. About Blog Dr. Tony Skanchy Jr, As an orthodontic specialist, I am dedicated to providing the highest quality of care in a professional and welcoming environment. I am grateful to be a part of a profession that allows me to develop life-long friendships with my patients and their families. Facebook fans 1,704. Twitter followers 4. South Jordan, Utah About Blog The Dental Clinic at Roseman University is your family’s home for quality, affordable dental care in the Salt Lake valley. Their mission is to provide affordable Dental Care for Children, Adolescents and Adults in Utah. Facebook fans 5,003. Twitter followers 62. Yardley, PA About Blog Sea of Smiles is a fun, kid-approved dental practice. Our practice specializes in children’s oral health, and related dental concerns. We provide an enjoyable dental environment where kids learn to keep their teeth clean and healthy for a lifetime. Facebook fans 1,318. Twitter followers 23. Charlotte, North Carolina About Blog Charlotte Pediatric Dentistry specializes in Pediatric Dentistry for Infants, Children, Adolescents, and Special Needs Patients. Keep up on the latest goings on at Charlotte Pediatric Dentistry Blog. Facebook fans 9,951. Twitter followers 371. About Blog At The Smile Lodge, we specialize in pediatric dentistry. It is our Mission to exceed the expectations of every parent who entrusts us to care for their child’s oral health. We strive to do ordinary things extraordinarily well, each and every time. Facebook fans 9,438. Twitter followers 19. About Blog At Northampton Pediatric Dentistry, we offer families a place where kids receive dental care focused on children’s smiles. We know how to care for kids and the unique needs that come with primary teeth, developing permanent smiles, and educating young people about the importance of oral hygiene. Facebook fans 1,593. Twitter followers 55. Franklin, TN About Blog Dr. Buzz is a pediatric dentist in Franklin, TN. He serves infants, children and teens in the surrounding cities of Brentwood, Spring Hill and Columbia, TN. Facebook fans 154. Twitter followers 53. Mint Hill NC About Blog Carolina Kids Dentistry is a pediatric dental practice that specializes in preventing dental disease and promoting a lifetime of healthy smiles in children from infancy through young adulthood and in special needs patients of all ages. Dr. Bevin K Malley and staff strive to make every dental visit a pleasant and comfortable one for your child. Facebook fans 471. Twitter followers 15. About Blog Salt Lake Pediatric Dentistry, a premiere pediatric dental practice in Salt Lake City, Utah. Superior oral health is vital for a child’s development and we are here to help every step of the way. Facebook fans 568. Twitter followers 4. Manhattan, NY About Blog Dr. Kim is a pediatric dentist practicing on the Lower East Side of Manhattan. Dr. Kim understands that childhood is the best time to instill good oral hygiene practices and to shape attitudes towards dental treatment. Her goal is to provide high quality dental care for children in a caring and compassionate way. Facebook fans 117. Twitter followers 25. About Blog At Treasured Teeth, Dr. Derren E. Tippets and Dr. Michele Lacy are committed to making our dental office the happiest place on earth for kids’ dentistry! Children in Reunion, Thornton and Montrose Colorado actually look forward to visiting for their regular preventive care. Facebook fans 172. Twitter followers 28. About Blog At Tidal Smiles Pediatric Dentistry, we are very proud of our staff and dedicated to creating a positive experience for your child. Our mission is a lifetime of dental health and beautiful smiles beginning in infancy with pediatric dentistry. To educate people community-wide as well as our patients about the prevention of dental disease. Facebook fans 463. Twitter followers n/a. About Blog Shelby Pediatric Dentistry, our goal is to provide exceptional oral healthcare for children and patients with special needs in the Birmingham AL metro area. Facebook fans 3,171. Twitter followers 23. Melbourne, FL About Blog Dr. Kristin and Dr. Alvarez have undergone multiple years of specialized dental training in order to provide the best care for your kids, and are the only Board Certified Pediatric Dentists in Brevard County. Facebook fans 1,341. Twitter followers 28. Alpharetta, GA About Blog Dr. Nanna Ariaban, a dentist for kids in Johns Creek and Roswell, provides quality articles on issues relevant to pediatric dentistry in her blog to help patients. Facebook fans 849. Twitter followers 18. Grand Prairie, TX About Blog Dr. Joseph is a highly trained Pediatric Dentist who is Board Certified by the American Board of Pediatric Dentistry and a Fellow of the American Academy of Pediatric Dentistry. Facebook fans 378. Twitter followers 10. Atlanta, GA About Blog The Pediatric Dental Assistant School is taught by Dr. Haugseth, who's widely regarded as a leader in the pediatric dental community. Facebook fans 256. Twitter followers 60. The Woodlands, TX About Blog Woodlands Pediatric Dentistry is dedicated to serving the dental health needs of your child. We work in a fun, kid-friendly office dedicated to making the dental experience for your child comfortable. Facebook fans 362. Twitter followers 165. Canton, GA About Blog At Nia Pediatric Dentistry and Family Orthodontics, we believe that a beautiful and healthy smile can brighten your life. Facebook fans 2,153. Twitter followers 14. St. Johns, FL About Blog Dr. Sullivan and Dr. Perry are Board Certified Pediatric Dentists and our team is specially trained to provide your children with individualized attention and care tailored to their needs in a relaxed and friendly environment. Discover helpful topics and tips about tooth care, teeth problems, common dental questions, emergency information, and more pediatric dentistry information. Facebook fans 635. Twitter followers 81. About Blog Dr. Mitra Pandya is a board certified pediatric dentist. Facebook fans 145. Twitter followers n/a. West Chester, Ohio About Blog Dr. Charles Manilla, Ohio Orthodontist and Pediatric Dentist, shares helpful information on orthodontics and oral health. Facebook fans 873. Twitter followers 30. Newport Beach, CA About Blog We are dental professionals specializing in bringing joy and fun to children. Our unique practice delivers positive experiences resulting in ENDLESS SMILES. We promote smiles each and every visit by infusing the office with fun, laughter, and comfort and by providing QUALITY care. Facebook fans 1,863. Twitter followers 43. About Blog Ajit A. Patel, DDS, MS is a pediatric dentist specializing in dental procedures and services in Ashburn, VA such as sedation dentistry and orthodontia. Facebook fans 572. Twitter followers n/a. About Blog Pediatric dentists are the pediatricians of dentistry. Drs. Morrow, Jamison and Beville completed four years of dental school as well as an additional two years of pediatric residency and all three are Board Certified Pediatric Dentists. Dental needs for children are specific and they have specific emotional requirements. Facebook fans 992. Twitter followers 825. Reno, NV / Sparks, NV About Blog Welcome to Champagne Family Dentistry, a leading general and pediatric dental care practice in Reno/Sparks, Nevada. We understand the importance of good dental hygiene and oral care and are committed to providing you the best care in a fun, comforting environment. Facebook fans 2,742. Twitter followers 517. About Blog At Park View Pediatric Dentistry we pride ourselves in providing your child with "dental care with a little extra care," creating not only a beneficial visit, but an enjoyable one. We are a state-of-the-art pediatric office who offer oral sedation and hospital care for children who are unable to tolerate routine dental care. Facebook fans 747. Twitter followers 345. About Blog World Pediatric Dental mission is to provide kids with a fun and friendly dental experience in a state of the art contemporary practice. Here you will find educational posts and informative information to help both you and your child. Facebook fans 507. Twitter followers 12. About Blog Imagine the kids in your family looking forward to visiting the dentist! That’s just the kind of experience you’ll find at Foothills Pediatric Dentistry in Lafayette, Longmont, and Thornton, Colorado. Facebook fans 3,569. Twitter followers n/a. Facebook fans 3,997. Twitter followers 9. Clinton Township, MI About Blog My Childsteeth is a unique dental specialty office offering both pediatric dental care and orthodontic treatment for children and adults. Blog gives up to date information and news from Pediatric Dentistry and Orthodontic Specialists of Michigan. Cohasset, MA About Blog Welcome to the office of South Shore Children's Dentistry, a leading pediatric dental practice in Cohasset, Massachusetts. Superior oral health is vital for a child's development, and we're here to help every step of the way. We are committed to making your child's first dental visit a pleasant and comfortable one. Facebook fans 998. Twitter followers 32. Bowie, MD About Blog A Johnson Pediatric Dentist Blog. Facebook fans 842. Twitter followers 8. About Blog At Bear Creek Pediatric Dentistry, it’s our goal to offer a comfortable environment while providing exceptional dental care for your child. We focus on preventative care and helping each child have a fun and positive experience. It’s our goal to treat each patient as we would our own children. Facebook fans 796. Twitter followers n/a. About Blog ToothTown Pediatric Dentistry is a pediatric dentist specializing in dental procedures and services in Wellington, FL. Our office is a child-friendly environment where both patients and parents can feel comfortable. Facebook fans 689. Twitter followers 14. West Hartford, CT About Blog A mother-daughter team of pediatric dentists with a love for children, as well as additional dental training and experience with infants, children and teens. Facebook fans 598. Twitter followers 4. About Blog Dr. Danen Sjostrom is a Board Certified Pediatric Dentist in Albuquerque, NM providing compassionate, individual dental care for infants, kids, teens, and children with special needs. Facebook fans 582. Twitter followers n/a. Houston, TX About Blog Dr. Linh Luu provides best practices and information for moms and dads to keep up with their children's dental health. Follow this blog for tips to maintain dental health of kids. Southington, CT About Blog Comprehensive dental care for children and young adults in a "child-friendly" environment. Our philosophy is to provide the same quality of care for each patient as we would to our own children. Facebook fans 546. Twitter followers 60. Nashville, TN About Blog Dr. Ed Perdue and our team want to ensure that your child has the best experience possible by offering services for all their dental needs. Facebook fans 430. Twitter followers 6. San Diego About Blog At ABC Children’s Dentistry, our mission is to eliminate any anxiety that children may carry by introducing, creating, and delivering dental care in a gentle, non-threatening, child-friendly and fun environment. Facebook fans 394. Twitter followers 315. Virginia, USA About Blog Pediatric and Orthodontic specialist in Midlothian and Colonial Heights. Our goal is to give patients the confidence that comes with a healthy, straight and radiant smile! Our dual private practice, specializing in pediatric dentistry and orthodontics, as well as adult orthodontics, allows us to provide a variety of treatments and services. Parker, CO 80138 About Blog Little Rockies is a pediatric dental practice conceived and dedicated to serving infants, children, teens and those with special needs. Our commitment is to provide excellent dental care, delivered by highly trained professionals in an atmosphere that is both comforting and fun for the patient. Facebook fans 377. Twitter followers 42. Pearland, TX 77089 About Blog Dr. Zarina Rasheed, DDS, MS was born and raised in Texas (and loves it here). She has been in practice for over 5 years and completed all her degrees at the University of Texas. She spent 2 more years to specialize on children (kids love her!) and got Board Certified by the American Board of Pediatric Dentistry. Facebook fans 306. Twitter followers 28. About Blog Dr. Lisa Bienstock is an award winning recognized Pediatric Dentist who is a Board Certified Pediatric Dentist practicing in Desert Ridge & Phoenix. About Blog Dr. Kaelin has dedicated the past 22 years to become a well-known children’s dentist in Parker, CO. She has been recognized as the Best of the Best Children’s Dentist and a 5280 Top Dentist. Facebook fans 281. Twitter followers 8. Staten Island, NY About Blog Dr. Phyllis G. Merlino is a Pediatric Dentist in Staten Island, NY offering services as a Childrens Dentist providing Kids and Sedation Dentistry. Facebook fans 279. Twitter followers 8. About Blog Dr. Anamaria Cabel is a top Pediatric Dentist in Hollywood, FL. Her experience treating her young patients has gained her an excellent reputation. Facebook fans 270. Twitter followers n/a. About Blog The vision of the American Academy of Pediatric Dentistry (AAPD) is optimal health and dental care for infants and children through adolescence, including those with special healthcare needs. Facebook fans 258. Twitter followers n/a. Greensboro, NC About Blog Dr. Sona Isharani is a board-certified pediatric dentist, and a mother. She is known for providing quality, nurturing, gentle, dental care. Her commitment to her patients is evident in her popularity with both children and parents. Facebook fans 238. Twitter followers n/a. About Blog Zarmin Lalani, DDS, MS, is a pediatric dentist who cares for children and teenagers at Discovery Kids Pediatric Dentistry in Frisco. About Blog Dr. David received his general dental training at the University Of Illinois Dental School. While there he discovered his love of working with kids. He continued his education for two extra years at UCLA School of Dentistry to specialize in Pediatric Dentistry; caring for the special needs of children from 0 to 21 years old. Facebook fans 187. Twitter followers n/a. About Blog At Peak Pediatric Dentistry, our goal is to create a comfortable, empathetic, educational and fun environment for children and their parents. We aim to be known for the the quality of our pediatric oral health services and the care with which they are delivered. New York, NY About Blog Dr. Shiva Basir is a board certified pediatric dentist who believes that dentistry should be a fun experience for children. Facebook fans 132. Twitter followers 3. Palatine, IL About Blog At Palatine Pediatric Dentistry we provide specialized dental care in a warm, friendly environment designed to put both patients and their parents at ease. Since 1976, our comprehensive approach has been serving the pediatric dental needs of infants, children, teens and those with special needs in Palatine, Arlington Heights, Hoffman Estates and Schaumburg, Illinois. Facebook fans 116. Twitter followers 37. About Blog At Firestone Pediatric Dentistry, all of your child’s dental needs can be taken care of under one roof. Our board Certified Pediatric Dentists are trained to treat young patients with all kinds of dental problem. Our Certified Orthodontist is also trained and comfortable treating even the most difficult and severe orthodontic problems. About Blog Dr. Zameer Ali Khan is a Board Certified Pediatric Dentist and a Diplomate of the American Board of Pediatric Dentistry. He is a member of American Academy of Pediatric Dentistry, American Dental Association, Texas Dental Association, and the Greater Houston Dental Society. Facebook fans 79. Twitter followers n/a. dulles, va About Blog Dr. Bhatti and her team specialize in pediatric dentistry and their mission is to provide unsurpassed, customized care in a pleasant, comfortable environment. Facebook fans 78. Twitter followers 155. Colmar, PA About Blog Dr. Dudenbostel is a member of the American Association of Pediatric Dentistry. She is also a member of the staff at Muhlenberg-Lehigh Valley Hospital in Bethlehem, Pennsylvania, and is associated with the Grand View Hospital in Sellersville, Pennsylvania. She has also participated in volunteer work in Guatemala for 15 years. About Blog Dr. Gill provides beautiful and healthy smiles for the residents of Stafford, Quantico. About Blog Dr. Robert Edmonstone is a children's dentist in Old Saybrook, CT providing the best oral healthcare to infants and children through 21 years of age. Sheboygan, WI About Blog Just Kids Dental SC is a local, trusted pediatric dental practice & other dental care. Just Kids Dental, S.C. has been working with children and their parents to provide the best dental care for kids in the Sheboygan area. Humble, TX About Blog Blog which specializes in orthodontics and pediatric dentistry. Dr. Stratmann serves Humble, TX including the cities of Houston, Cleveland and Spring, TX. Martinez, GA About Blog David H. Brantley, D.D.S. is a pediatric dentist specializing in dental procedures and services in Martinez, GA.
About Blog Dr. Jennifer L. Thompson is a board certified pediatric dentist serving infants, children, teens and children with special health care needs in Highlands Ranch, CO and the surrounding cities of Littleton, Centennial, and Lone Tree. About Blog Dr. Jen Fountain is a board certified pediatric dentist dedicated to providing expert, gentle, and fun dental care. Her goal is to help every child achieve a lifetime of healthy and beautiful smiles! About Blog Walker Pediatric Dentistry, your dental home for all your child’s oral health needs in Salt Lake City. Our experienced dentists and friendly dental staff provide high quality care to help your children maintain good oral health. Erie, CO About Blog Pediatric dentistry and orthodontics in Erie, CO, dedicated to the dental care of infants, kids, and teens, and the orthodontic needs of all ages. 85. Clarksville Pediatric Dentistry P.C. Clarksville, TN About Blog Clarksville Pediatric Dentistry provides specialized dentistry for children and adolescents in a "child-friendly" environment. As a pediatric dental office, we focus on preventative care to help each child have a healthy smile that will last a lifetime. Facebook fans 1,093. Twitter followers 112. About Blog Big Blue Pediatric Dentistry is a pediatric dental practice in Carson City Nevada. Dr Snell is committed to providing quality dental care in an environment that is fun and relaxed. We know that each child is different and are committed to developing a treatment approach individual to each family. Facebook fans 245. Twitter followers n/a. 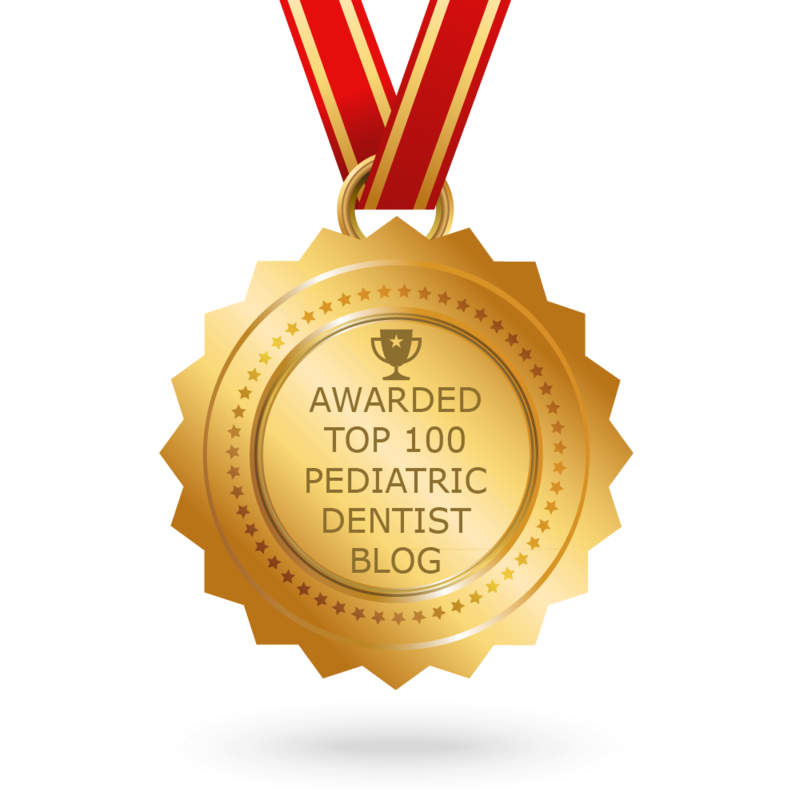 CONGRATULATIONS to every blogger that has made this Top Pediatric Dentist Blogs list! This is the most comprehensive list of best Pediatric Dentist blogs on the internet and I’m honoured to have you as part of this! I personally give you a high-five and want to thank you for your contribution to this world.